Choose the Euramax Canada Traditional-Style Gutter System to channel and redirect rainwater runoff to prevent erosion and costly foundation damage. 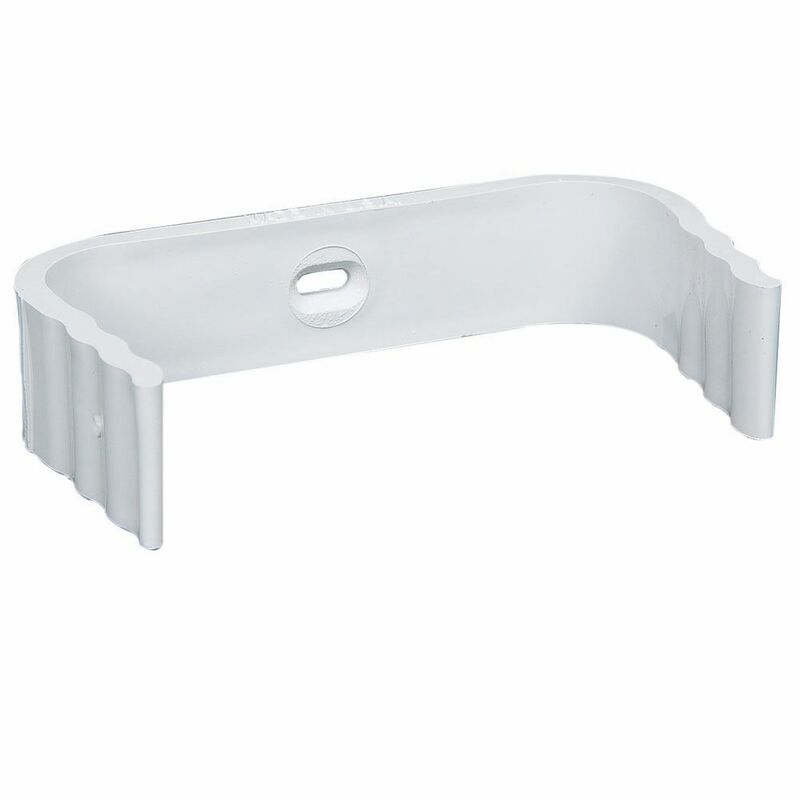 The Vinyl Downspout Clip is designed to hold downspouts in place against structure walls. You can fasten the clip directly to a wall surface. The low-maintenance vinyl clip is easy to install. It is recommended that 2 clips be used for a 10 ft. downspout. During installation no sealants or caulking are required. Clips Traditional White Vinyl Choose the Euramax Canada Traditional-Style Gutter System to channel and redirect rainwater runoff to prevent erosion and costly foundation damage. The Vinyl Downspout Clip is designed to hold downspouts in place against structure walls. You can fasten the clip directly to a wall surface. The low-maintenance vinyl clip is easy to install. It is recommended that 2 clips be used for a 10 ft. downspout. During installation no sealants or caulking are required. Clips Traditional White Vinyl is rated 3.8 out of 5 by 13. Rated 5 out of 5 by Daniel from Made in USA! These work well in support of down... Made in USA! These work well in support of down spout when not in use. Rated 4 out of 5 by Ray from Easy to use.... Easy to use.